Everybody wants always to look younger and healthier at every age. In these days, people have wrinkles on their face due to stress, lack of rest, lack of sleep and lot of thinking about problems. You must avoid your stress and try to be live with positive people and those people you love. Don’t afraid to laugh just to avoid wrinkles. There are many products available in the market to reduce wrinkles but instead of these products I am showing you a natural face lifting mask that has not only power to prevent wrinkles, but it will erase your all wrinkles effectively. 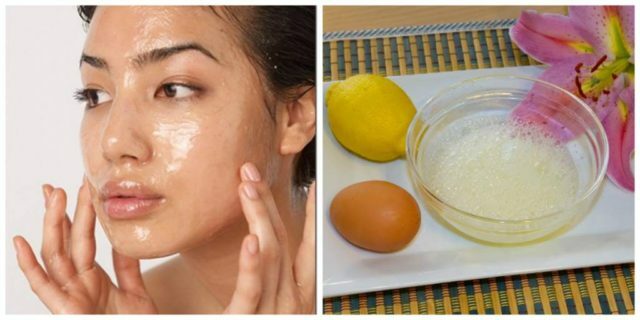 You can easily get rid of aging signs using this homemade face mask. It will make your skin tight, nourish and hydrate sagged skin and give you healthy and younger look within few minutes of effort. It is easy to prepare and inexpensive. Here is the recipe. Take an egg and separate egg white from the yolk. Put egg white in a bowl and beat it to make foamy mixture. Now add lemon juice in the bowl and again beating for few minutes. First wash your hands, face and neck and pat dry it using soft towel. Apply the mixture in circular motion using your fingertips. Leave this mixture on your face for 10 minutes, it will become dry completely. Now rinse it off with cold or warm water as you prefer. For best results, follow the remedy three or four times in a week.